heading back from KAIRA to SGO the other morning, I was held up for a considerable period of time at the turn to Meltaus. 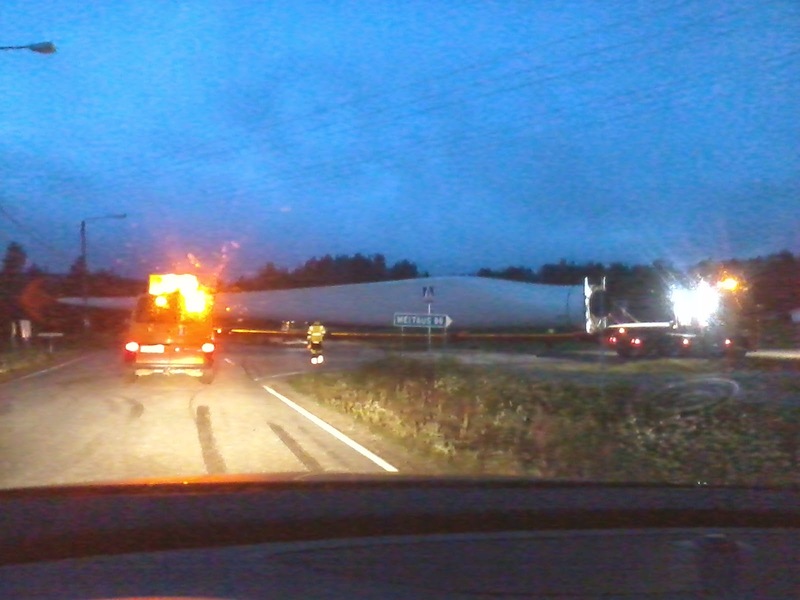 The reason for this was that a convoy was moving three huge blades of a wind turbine and the first of these was starting to make the turn just as I arrived at that point. It was quite a long wait as the turn was very difficult given the huge length of the blades. I tried to estimate the length and I suspect they are 40-50 metres long each.